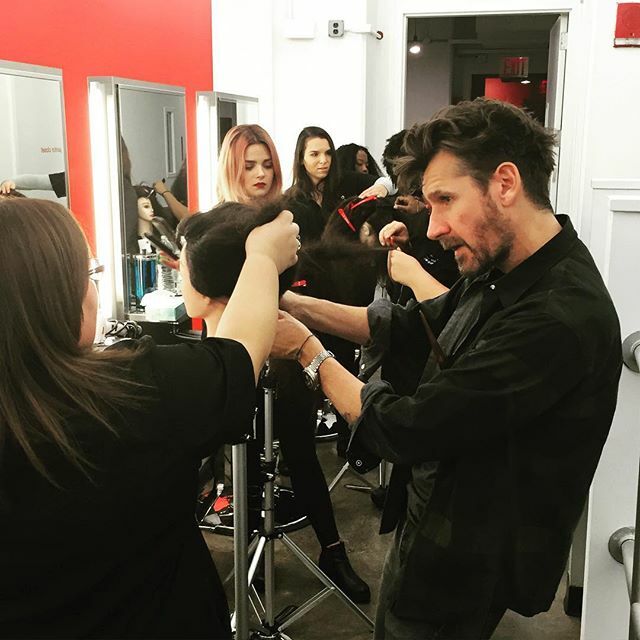 Paul Merritt, the British editorial stylist who has credits in Vogue, Harpers Bazaar, ELLE and ID, and works with Claudia Schiffer, Rosamund Pike, Alexa Chung, and Jennifer Lawrence, took time out from NY Fashion Week and ARROJO Studio to share the fundamentals of successful styling with enrapt students. Patrick McIvor, ARROJO Techni-Color Director and veteran master colorist with a global reputation for bringing inspiration into the industry, joined the faculty to demonstrate classic and creative foiling techniques that enable today’s colorful array of fashionable tones. Amanda Jenkins is another famous fashion stylist; she combines her position as ARROJO Cosmetology Artistic Director and Master Stylist at ARROJO Studio with a variety of editorial opportunities. As she was preparing to lead styling on the Cristina Ruales NYFW SS16 show, she took the students through some of her favorite, high-fashion styling techniques. These iconic hairdressers are ably supported by an exceptional faculty of passionate stylists and educators who, every day, strive to raise the bar of foundational hairdressing education ever higher. See more pictures of daily life at ARROJO Cosmetology below. If you are interested in our career-shaping and distinctly inspirational program, please contact krista@arrojonyc.com or call 646. 979. 2265 X 411 to arrange personal tour of the campus and learn about the program and potential career options. We also host regular Open House Events for prospective students.